Welcome to the Nissan Check Engine Light codes page. 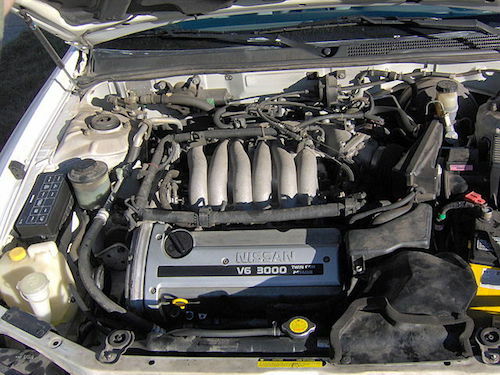 Below you will find the most complete list of Nissan trouble codes available. The code definitions are a good starting point when determining the cause of the service engine light but where do you go from there? We have a large number of resources to help you repair the problem. Here is how we suggest you proceed. Look up your code definition. This tells you where to start testing. If you are unsure of any abbreviations, check out the acronym list by clicking on the link at the left. We do our best to update these Nissan check engine light codes as frequently as possible. If you find one missing let us know and we we'll add it immediately! Please use the form on our Contact Page to get in touch with us. We certainly understand how frustrating it can be to look for a code definition and have it not online when you need it. And lets face it, if the service engine light is on then you need it now! It's easiest to use the "Find On This Page" feature of your browser's "Edit" menu to find codes on this page as the list is quite long. These are listed in numerical order for easy searching. Remember, these are manufacturer specific codes only. Refer to our Generic OBD II code list for definitions on all other Nissan diagnostic trouble codes.